Fybr has partnered with DaCapo Agricultural Corporation, located in California’s Central Valley, to develop an automated, wireless irrigation solution built using Fybr’s digital transformation platform and secure network. With crop production utilizing more than 70% of the world’s clean water, finding ways to reduce agricultural irrigation waste is critical to achieving sustainability. Improved water management in agriculture will increase global potable water availability, reduce soil erosion, and lead to better and more diversified agricultural yields – all while helping to feed a growing global population estimated to reach 9 billion by the year 2050. According to the UN Food and Agriculture Organization (FAO), 60% of the water diverted or pumped for irrigation globally is currently being wasted, either via runoff into waterways or evapotranspiration. With a handful of US states discussing policies to regulate water distribution and utilization, the potential for unintended consequences on the economy and employment is real. Using Fybr’s Smart Agriculture solutions, growers can proactively optimize water usage by using cost-effective Internet of Things (IoT) technologies to stay ahead of regulations and potential water-use restrictions. Fybr’s Smart Agriculture solution is an affordable, turnkey, and scalable solution for growers. Comprised of a full suite of sensors, controllers, and software analytics tools, growers can not only monitor crop/field conditions but also automate selected processes. For example, automating irrigation controls can reduce water consumption by as much as 50%, while potentially increasing yields by up to 12%. Additionally, by automating the irrigation process, growers can minimize the time and manual labor required by legacy irrigation systems. Unlike other systems, Fybr’s devices are 100% wireless and battery powered with field life of up to 10 years – removing the need to run underground cables required by many existing systems. 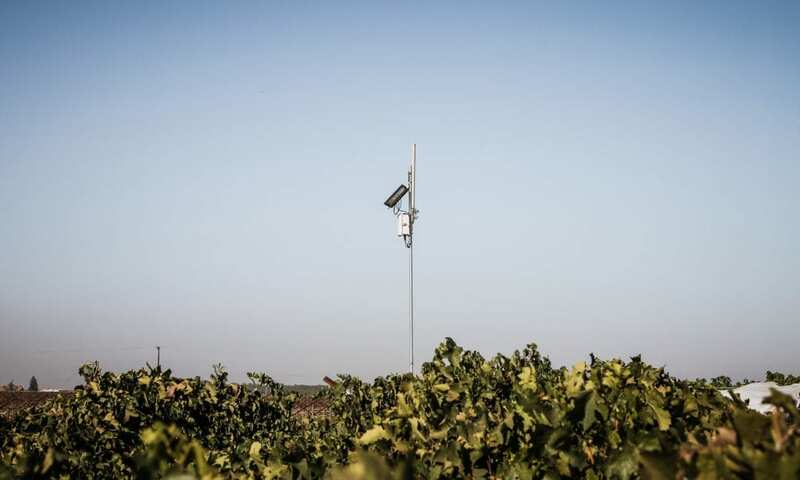 This paradigm shift gives growers greater flexibility in the placement of sensors and actuators, as well as the ability to more easily relocate devices while contributing to a cost-effective system that can monitor and irrigate more crops with greater precision. “I believe that one of the things we as growers have to do is show that we are monitoring and proactively managing our exposure to water shortages. Real-time analytics and documenting groundwater usage for compliance with future regulations, i.e., SGMA in California, will be a necessary tool for growers of all crops for compliance with new demands by government. We can’t simply sit back and wait for restricted government allocations,” said Bob Greiner of DaCapo. 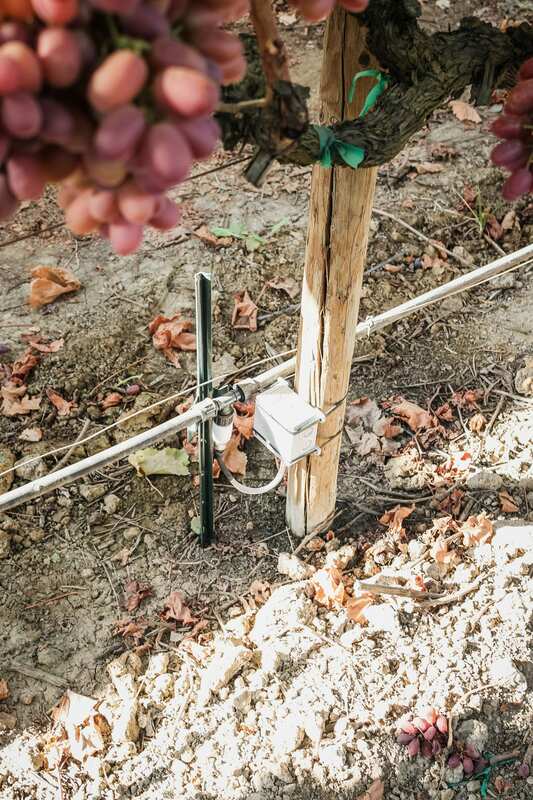 Fybr’s pilot installations, deployed during the 2017 growing season in DaCapo’s plum orchards and table grape vineyards, monitor soil moisture and soil tension at multiple depths, temperatures at ground level and each sensor depth, canopy temperature, and micro-climate data. During testing, this data is being used to teach the system how and when to irrigate. When released commercially, Fybr’s data engine will use data analytics and artificial intelligence to control irrigation lines and pumps autonomously – allowing for optimal watering when it is both needed and most cost-effective to operate. Irrigation lines are also equipped with flow meters to monitor not only how much water is used in each portion of the fields, but also to detect leaks – a contributing factor to water waste each year. Fybr’s platform also allows additional farm systems to be automated and monitored on the same wireless network via FybrLynk – a postage stamp sized microcontroller and communications device that can connect a broad range of new or existing sensors and devices to the platform. “Fybr provides a valuable service that can help growers understand their existing water usage, measure real-time water needs, and then optimize water distribution and allocation. Using Fybr’s Actionable Insights™, growers can not only help minimize the impact of droughts but operate far more efficiently in normal conditions,” said Bob Glatz, CEO of Fybr. Headquartered in Dinuba, California, DaCapo Agricultural Corporation was established in 1997 and is one of the World’s largest plum orchards, producing over 30 varieties throughout the growing season. 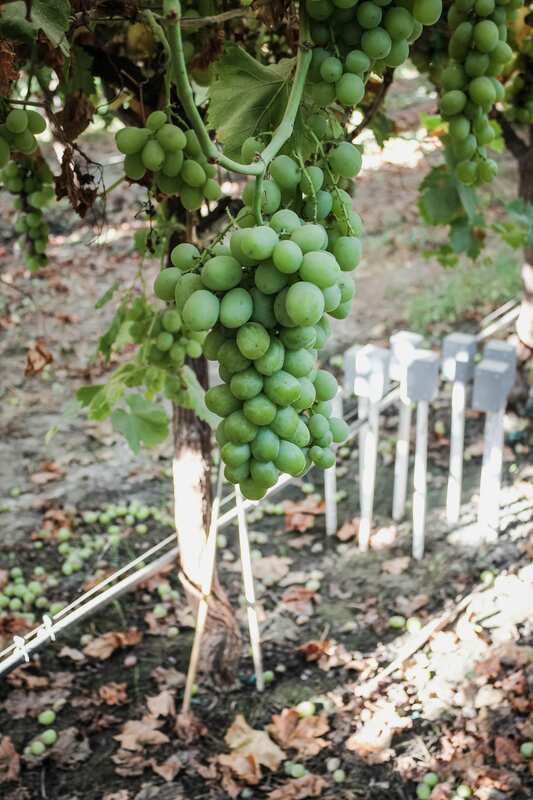 In addition to plums, DaCapo also produces peaches and table grapes for high-end produce retailers worldwide. Fybr is a leading, end-to-end IoT solution provider – collecting and delivering data along with advanced analytic tools to solve business and community-based quality-of-life issues such as agriculture, transportation, power, water management and safety – for customers worldwide. Fybr is an integrated and proven hardware, software, and network stack that reliably, securely and efficiently delivers data to and from the physical world. Combining real-time sensing data with intelligent machine-learning algorithms, the Fybr Platform delivers actionable insights that help leaders fix issues proactively – saving money and improving services. Headquartered in Saint Louis, Missouri, Fybr has deployments in the U.S., Canada, and Asia. With Fybr’s IoT solution managing nearly 3 billion sensor events, Fybr provides a powerful, simple, and turnkey solution to enable almost any Internet of Things ambition for cities, farms, and businesses.